Perthians prepare for the hottest show to hit our shores for the fifth year in a row; the Perth International Burlesque Festival! 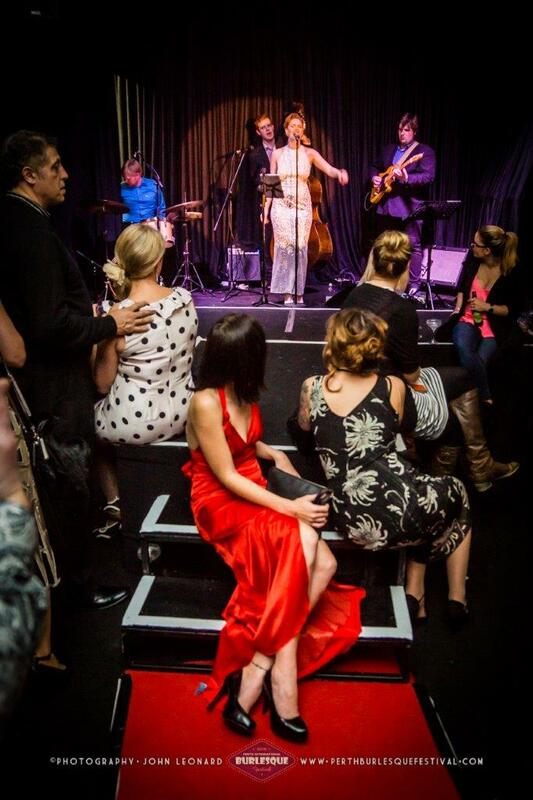 Kicking off this evening, you can catch dazzling shows, late-night parties, markets, workshops, panel discussions and everything burlesque. Co-producer A’dora Derriere not only organised this stunning festival, but is also the director of the fabulous Sugar Blue Burlesque, a costumiere, lingerie designer, producer of the Miss Burlesque Western Australia Competition and associate producer of the Perth Fringeworld Festival in 2011 and 2012. This talented and hardworking lady decided a Burlesque Festival was exactly what Perth needed after attending many festivals around the world as both a performer and teacher. With so many international performers hanging out for an excuse to visit our beautiful shores, A’dora didn’t have too much difficulty attracting the best and brightest. As well as the opportunity to travel, the festival provides an exciting performance platform for artists, as well great opportunities to network with other entertainers. This year the festival program has expanded to include a convention boasting a local burlesque photography exhibition, workshops, talks and a round table chat with nominated burlesque community movers and shakers. With this move, they hope to place a real focus on showcasing and supporting the burlesque community. One of the main events is the highly anticipated headline show Glitter, Garters & Tease held on Saturday the 25th of June at the Astor Theatre. A stunning line up of artists from around Australia and the world combine to work their magic for an electric and once-in-a-lifetime show. The wonder that is Amber Topaz hosts an array of acts including the reigning Miss Burlesque Australia Bella De Jac, San Diego’s favourite showgirl Di’Lovely and Perth’s own Agatha Frisky alongside many more for a night of exhilarating performances that are sure to get your heart racing. A’dora says she is particularly excited for the Dark of the Cabaret Ball which celebrates everything outrageous on Friday the 24th of June. This year will be the first time they hold one of their main shows as a ball, where guests can enjoy an incredible banquet, live band, performances from festival artists and even a wearable art parade A’dora has personally co-ordinated. She says the designers of the show are all local talents and is so pleased to give them an opportunity to show off their skills. Make sure not to miss the Retro Market and Peep Shows held at the Rosemount Hotel which is set to transform into a hub of activity. Stocked full of stalls offering unique retro items, antique jewellery, collectables, homewares and all things burlesque, it is open to the general public from 12pm to 4pm on Sunday the 26th of June. If you pop into the intimate Four5NineBar inside the Hotel, you can enjoy the cheeky peep shows hosted by the ever vibrant Perth local Ginger LaMinge. These shows will feature and assortment of saucy performances from Melbourne’s Ainslie Adams and Adelaide’s Lyla Dash among other bewitching artists. 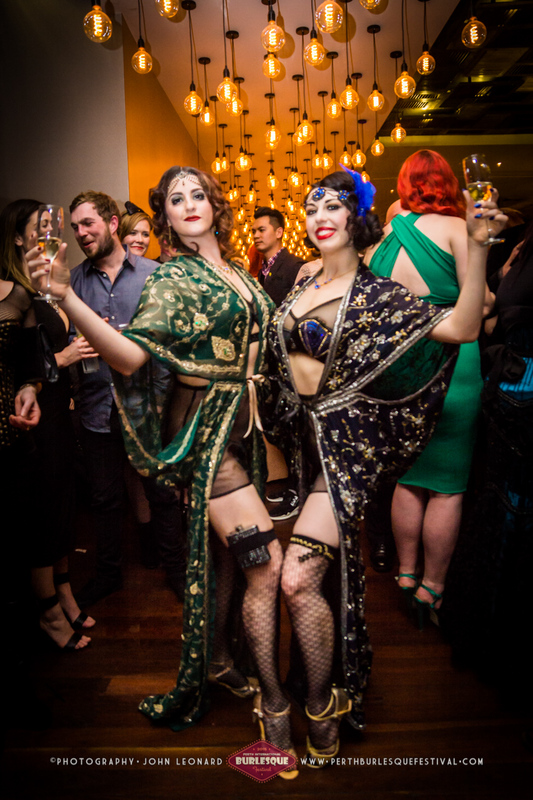 A’dora says the PIBF is an integral event on the Perth Burlesque Calendar, and works as an opportunity for the whole community to be involved in so many different ways; be it as a performer, volunteer, designer, photographer, academic, student or audience member. Adora says she would like to personally thank the audience members in advance for choosing to be a part of this huge project as it wouldn’t be possible without their support. As their biggest project to date, organisers A’dora and Coco Poppin- along with all the artists- are ridiculously excited to put on their best show yet.